It’s National Car Care Month! 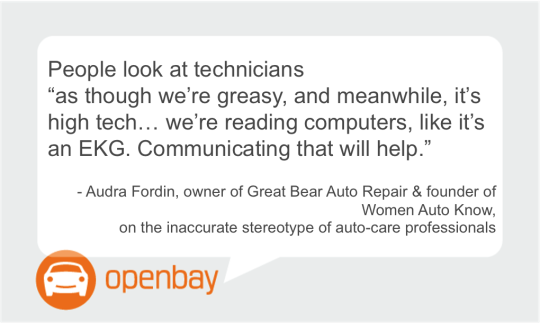 Did you know that women play a leading role in 85% of auto purchases, and play a large role in how it’s serviced? At this year’s New York Auto Show, we attended a panel discussion, hosted by Lexus, about women buying and servicing vehicles. Virtually everyone noted the power of word-of-mouth communication, and that if dealerships and service centers treated customers well, word would spread. If they treated customers poorly, word might spread even more quickly. The discussion began with how service centers can better serve women. 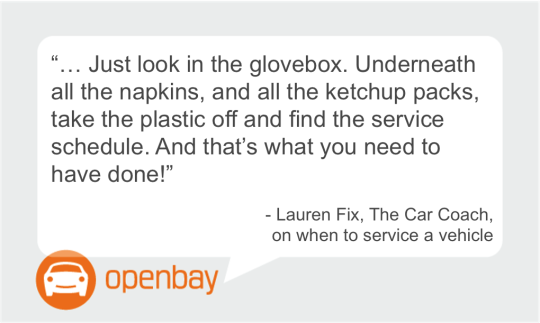 When a service center is dealing with customers, she says, what’s most important is “authenticity, transparency. If you can’t prove it, people know. Communicating needs is the nuts and bolts” that will help to make consumers feel more confident. Fix noted that many consumers don’t know how to use the complicated technology that’s in their vehicles, and that it’s helpful when dealers have someone available to explain. Schaffels point out that many of the autonomous features now available – related to pedestrian safety, lane-departure assist, and accident prevention – serve as assistants to be better, safer drivers. The rapid changes in technology will affect the service side of the business, and Fordin warned, “You’ll need more than an oil change,” and that just one example of a part that will require attention is the steering-angle sensor, which will need to be well calibrated if it will be playing a key role in changing lanes. She suggested that marketing should play a role in helping drivers to pay attention to all the new, more electronically-focused service a car needs. Batenchuk noted that the people who took the time to write those owners’ manuals would appreciate knowing that drivers were checking them. Fix said she reads every manual for her vehicles, and that she’ll sit down with a glass of wine and do “light reading,” which was met with laughter. Do your research, know what you want, and what things you absolutely need. Never be afraid to walk away from a deal that doesn’t feel right. Bring the printed information with you. Seating comfort will never, ever get better. And visibility is important. And never, ever pay retail! Do your research. Dealer invoice is available from any car site now. The dealerships need to have a profit, and they have families to support. They’re expected to have a fair profit, and you’re also expected to have a fair price. The test drive is really important. And if you’ve got kids, and a car seat or equipment, you need to bring those items to the test drive. Know what it’s like to install them. If this is a family purchase, you need to be sure they’re involved in the purchase itself. Some people buy a car before realizing they can’t get their kids in and out of the third row. If you’re going to take ownership of the keys, take ownership of the driver’s seat, and take care of your investment so it lives a longer life. This entry was posted in Car Buying & Selling and tagged advice, ase, automotive, boston.com, cars, LexusDifference, mechanic, nyias, openbay, panel, women. Bookmark the permalink. Poll: Are You a Car-Care Boss, or an Auto Neglector?